It’s the sixth leading cause of death in the United States. Over 16 million Americans provide unpaid care for people with this disease. Early and accurate diagnosis could save nearly $8 trillion in medical and care costs. And this disease kills more people than breast cancer and prostrate cancer combined. The disease is Alzheimer’s. This Wednesday from 6:30-8:30 p.m., research experts will be conducting a symposium at the Logan Library to reveal the latest advancements in Alzheimer’s treatment, as well as provide updates for caregivers of Alzheimer’s or dementia sufferers. Dr. Beth Fauth, Ph.D., is an associate professor in Family, Consumer and Human Development at Utah State University. In partnership with the Alzheimer’s Association, she will be sharing her research findings as well as discuss the integration between well-being and social support, and the transition into needing assistance late in life. Dr. Fauth says people who are curious about the disease (perhaps if there is a family history of Alzheimer’s or dementia) or people who may be caring for someone with dementia (and would like to know more about its causes and treatments) ought to attend the symposium, titled Reason to Hope. She says not everyone will get this condition, but most people know someone who has this disease. 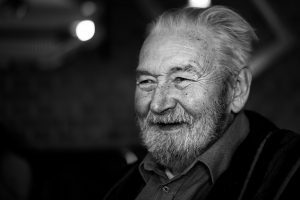 The risk of getting Alzheimer’s or dementia grows significantly with people over the age of 85, but aging, alone, does not cause the disease. Ronnie Daniel, executive director of the Alzheimer’s Association, Utah Chapter, will open the symposium on Wednesday, but the majority of time will be given to Dr. Fauth to share information about Alzheimer’s that most people have not heard before. The event is free to attend, but they are asking people to pre-register to have an idea of how many will be in attendance. To register, click here or call 800-272-3900. Dr. Fauth emphasizes that the presentations will be given in language that is very easy to understand, sharing information from studies done close to home. 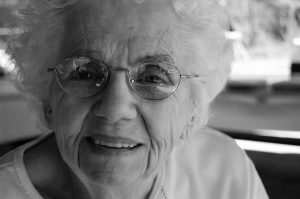 Wednesday’s symposium will share the groundbreaking research conducted right here in Cache Valley involving over 5,000 seniors, titled the Cache County Study on Memory and Aging. Dr. Fauth says there was so much learned from the study that they decided to do spin-off studies. Once someone had Alzheimer’s disease they were followed, and so was their caregiver. They examined why some experienced a more rapid decline than others. 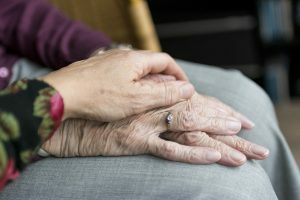 She says that research also revealed how to communicate with someone who has Alzheimer’s, which can often be a source of frustration with caregivers. Dr. Fauth says Wednesday’s symposium will discuss the information learned from following the caregivers, as well. She says, sadly, many caregivers don’t realize there are a lot of resources available which they sorely need, and are very effective. “This is a disease that doesn’t just impact the person who gets it. It impacts their family and impacts usually one caregiver. In many families there is one person who is doing the majority of the work, for whatever reason that’s just the way things happen. Dr. Fauth says this has been a major focus of her research and will be discussed on Wednesday. The symposium is being sponsored by the Alzheimer’s Association, whose role is to help support people with dementia and their caregivers. But another aspect of the organization is raising funds for research. 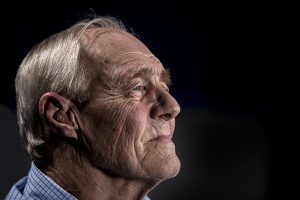 There currently is no cure for Alzheimer’s, but there has been some promising research on how to slow or stop the mental decline associated with the disease.